As Sr. Project Manager in the Mayor’s Office of Economic Development, Griffin has been involved in major projects throughout the City, such as the Grandview Medical Center, Kamtek, Pappadeaux, the downtown Publix grocery complex, Regions Field, the UPTOWN Entertainment District, IMS/Steris, Oxford Pharmaceuticals and numerous other industrial, commercial and retail efforts. He works closely with the Alabama Department of Commerce, the Jefferson County Commission, the commercial development community, REV Birmingham and the Birmingham Business Alliance to bring new jobs and investment to the City. Mr. Mayo has been in his current position since 1990. He has been instrumental in administering the following economic development initiatives: business retention and expansion; several minority business initiatives; state designated enterprise zone; business assistance initiative; and one of most successful foreign trade zones. He has served on several non-profit organization boards and agencies. He has received several awards and the most recent being the Alabama State Black Chamber of Commerce’s “Champion for Business Award”. Irenio serves as a Project Manager in the Mayor’s Office of Economic Development. Irenio has been involved in recruitment, retention, relocation and expansion of businesses. He assesses and analyzes opportunities for economic growth in Birmingham and works in conjunction with multiple Economic Development agencies. These agencies include but are not limited to Birmingham Business Alliance, Urban Impact, Jefferson County, and REV Birmingham. With a background in banking, Irenio is also responsible for assisting in the management of the City of Birmingham’s $5 million Business Development Loan Program. As Real Estate Manager in the Mayor’s Office of Economic Development Janice is responsible for managing the City’s industrial and commercial properties. A key component of her responsibilities also includes assisting in the recruitment and development of new and expanding industries in the City of Birmingham. Janice has been a State of Alabama License Realtor for 27 years and brings over 30 years of experience in the area of economic development to the table. For nearly three decades she served as the Director of Industrial Parks Development with the Birmingham Metropolitan Development Board. She also assisted in the development of six City-owned Industrial Parks. Janice has also served on several boards and is active in various organizations including the National Association of Realtors. 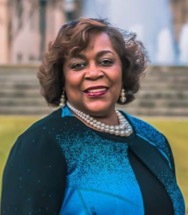 Valencia is a native of Birmingham and provides administrative support for the Mayor’s Office of Economic Development. Her positive attitude and personality make for a pleasant experience when for those who find themselves interacting with our office.